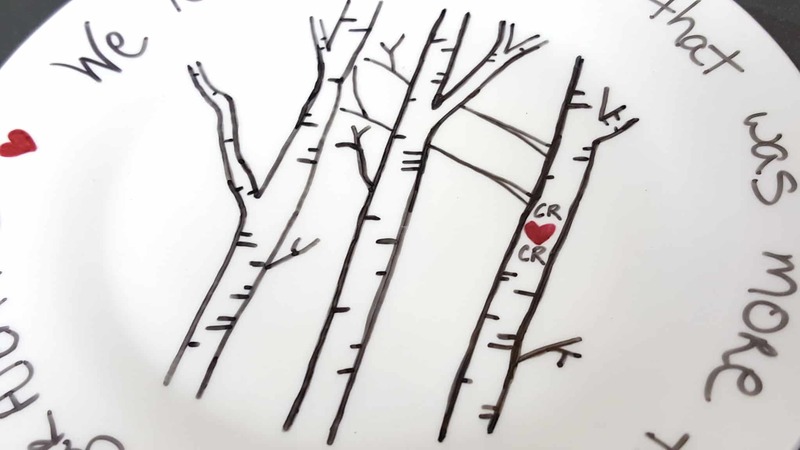 This year for the holidays I’ve been creating a special handmade gift for each member of my family – which was a little daunting since everyone else in my family is a guy! I can’t make them cutesy fluffy crafts – I needed something for suitable for each of them! Below are two of the projects I’ve made so far – one for my husband, and one for my 7 year old. 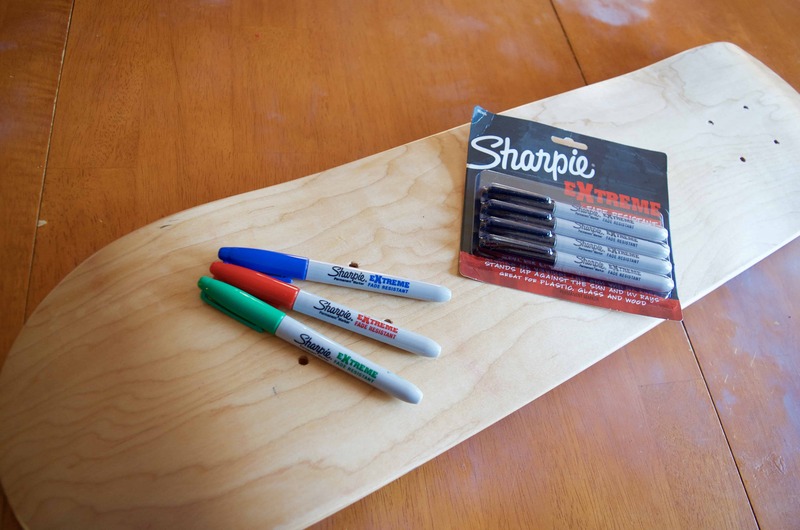 Thanks to Sharpie for sending us 2 packs of Sharpie Extreme Markers! Oh man I couldn’t be happier with how this gift set turned out that I made for my husband! 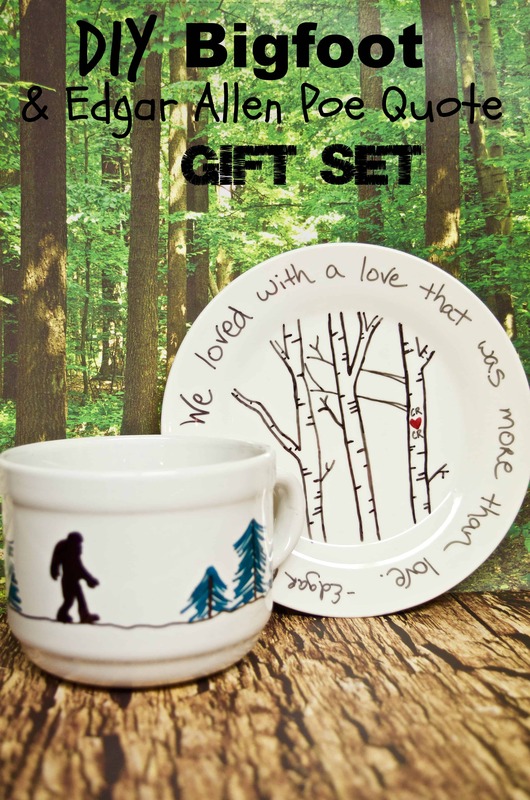 I’m pretty careful about “crafty” things I make him since he does not share my affection for craftiness but I wanted to make something for him to not only show my love for him but also incorporate his love of Bigfoot! 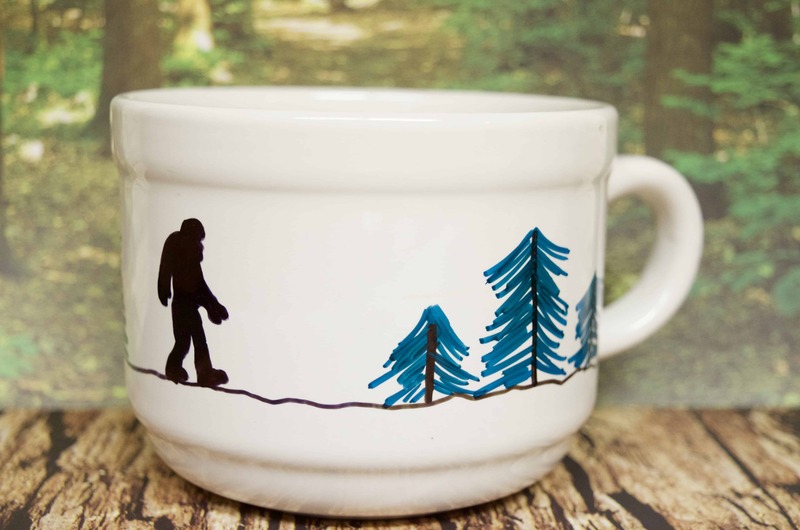 The Bigfoot mug isn’t nearly as daunting as it sounds! I began by using the black Sharpie Extreme marker and just drew an uneven line all the way around the mug for the “ground”. For the trees I drew a straight black line, then swiped some green lines down to look like a pine tree. Nothing fancy! Bigfoot was my last attack – I drew him freehand but if you’re too afraid to attempt that you can print out a silhouette of Bigfoot (or other animal) and use that as a guide to trace around. It’s fairly simple since you are just outlining a shape and don’t need fine details – then just color it in! 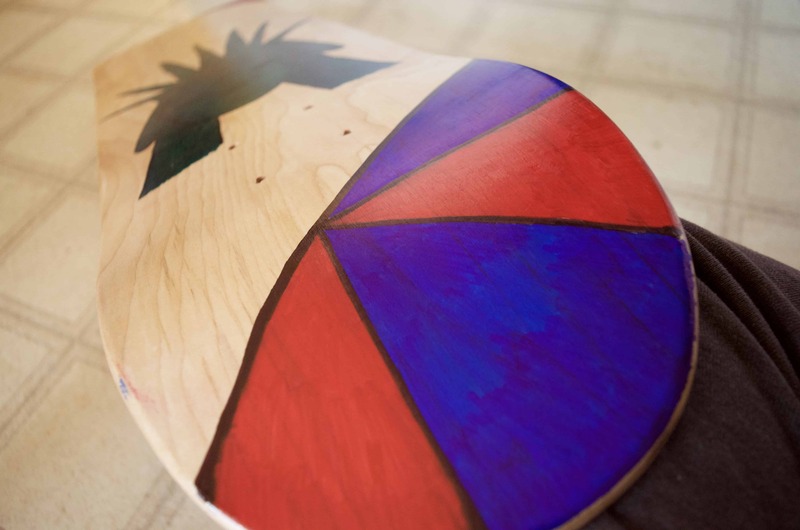 My 7 year old LOVES skateboarding so I thought it would be awesome to create a special skateboard deck just for him! He loves historical things like the Statue of Liberty and our American presidents so I found this tutorial that I follow to draw Lady Liberty. Use your pencil to trace or draw whatever your design is. You can see above that I followed the tutorial that I linked to and drew Lady Liberty – it was much simpler than I was expecting! After you draw out your design in pencil just use your Sharpie Extreme marker to trace of the outline! 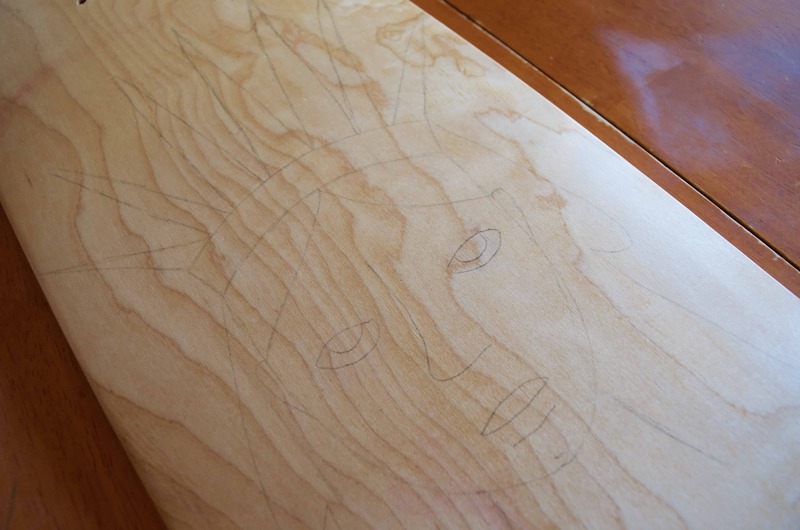 For our project I was easily able to use an eraser on the blank skateboard deck. Once you’ve created your outline you can fill in color if you want or just leave it blank! 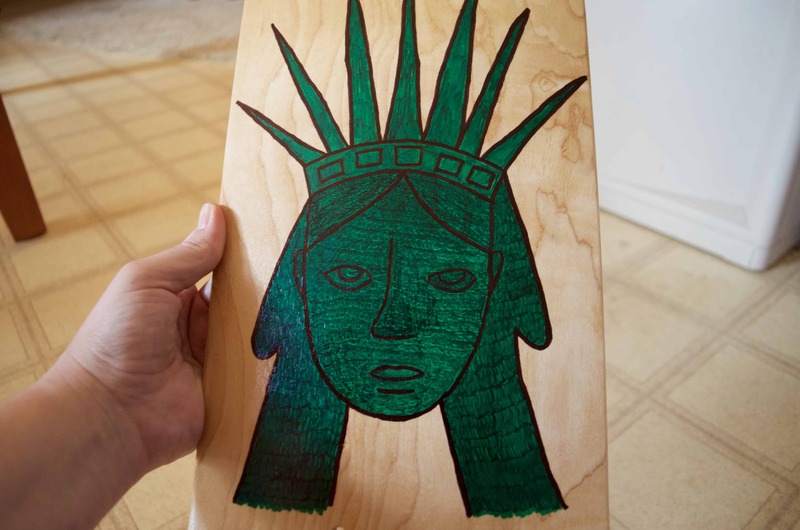 I really liked my Statue of Liberty with just the black outline but I knew my son would love her filled in with the green. I would have liked to use a slightly lighter green but I only had the darker green on hand. 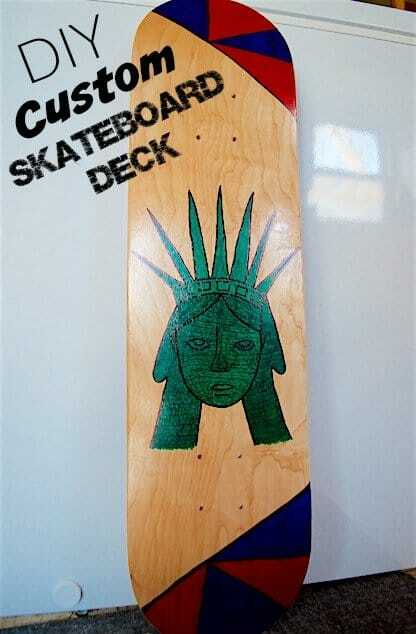 She seemed a little lonely on the bottom of the deck so I decided to draw some geometric shapes and fill them in on the top and bottom edges of the deck. 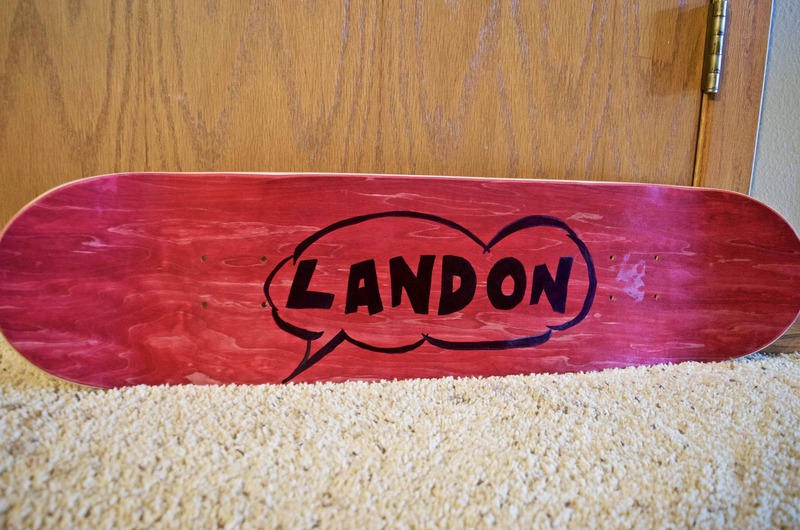 The top of the deck that I received was a reddish color so I decided to use my Sharpie Extreme markers to write my son’s name inside of a comic bubble. I’ll give you a little tip here since I’m not great at writing thick letters – I opened up PicMonkey, used a thick bold font and added a thought bubble around it on my computer. 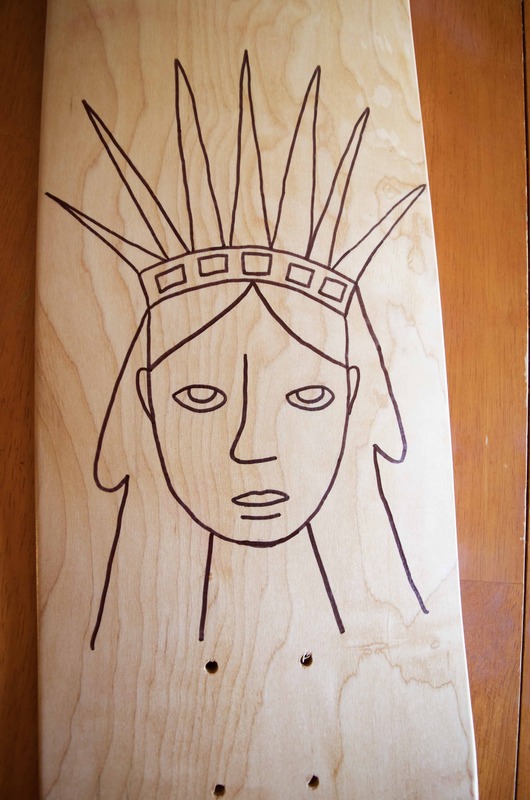 Then I just drew in pencil onto the skateboard what it looked like on my computer screen! I LOVE the way it turned out! 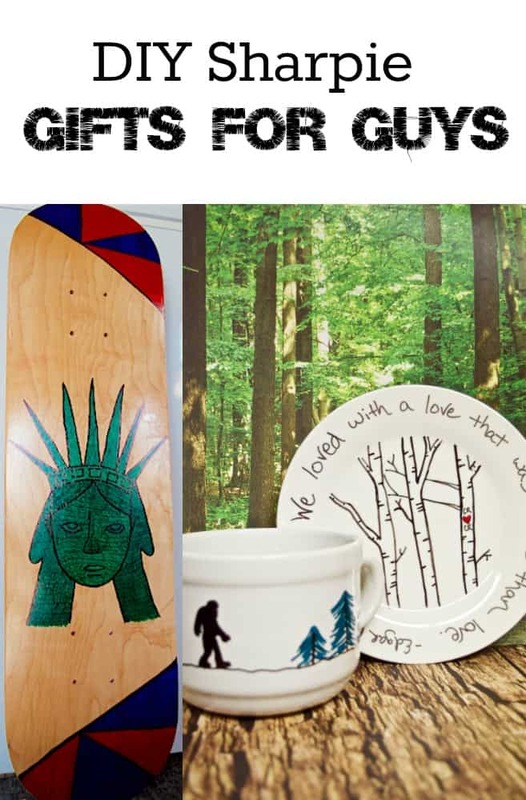 I can’t wait for my son to get his new skateboard deck at Christmas! We’re letting him decide whether he wants to add wheels, or use it as a table or shelf. I did spray a quick coat of acrylic sealant on it so if my son uses it as a skateboard I’ll have to update later and see how it holds up!